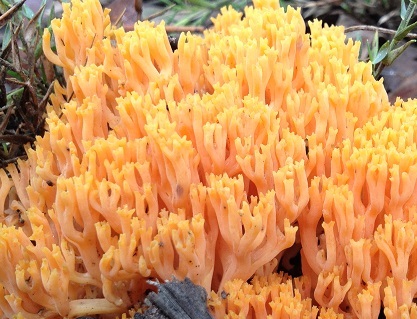 Ramaria fungi are coral-like mushrooms with multiple branches. Their spores are ochre-yellow to brown-tinted and are ornamented with warts, striations or spines. 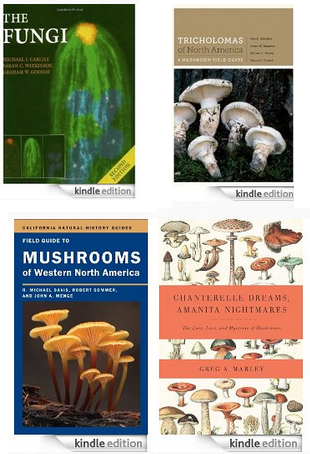 Of probably 100 Australian Ramaria species, only nineteen have published scientific descriptions. Currently. 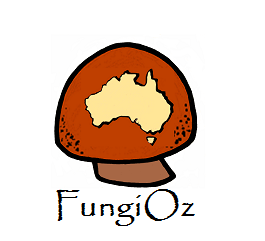 FungiOzapp includes 17 Australian Ramarias, most of which are unidentified. 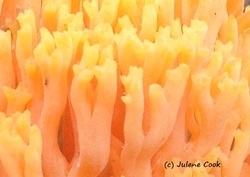 Ramaria are very difficult to differentiate according to their observable and even their microscopic features. Identification is made even harder because the structure, colour spore sizes and shapes of some species change as they mature. Important observable features include colour details, the shapes of the apices and branch axils, the texture of branches and whether or not there are rizomorphs or aborted branches that have not developed. Many herbarium samples do not include records of such characteristics which makes identification harder. 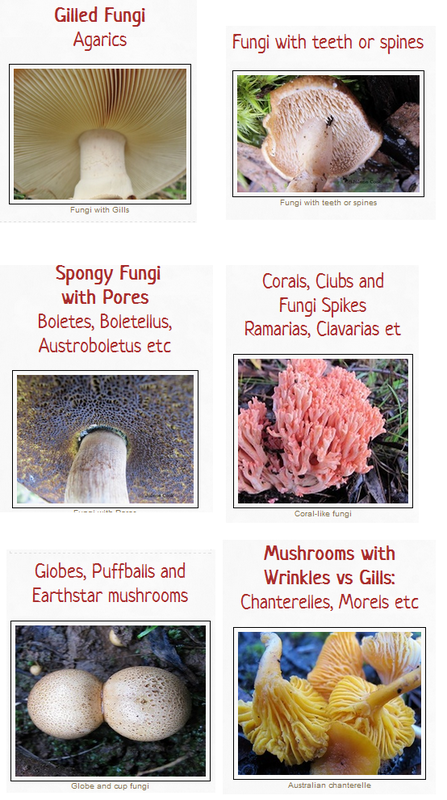 A detailed recording sheet for describing Ramaria species can be found here. For all these reason, the tentative nature of identifications for the Australian Ramarias below is expressed by the question marks after suggested names. 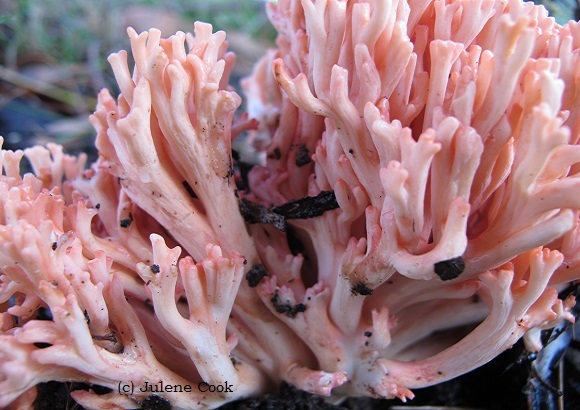 This coral fungi is a pretty close match to Young's description of Ramaria botrytoides on the Queensland Mycological Society's website. The multiply divided branches of Ramaria botrytoides arise from a white base and are white to pale pink, slender and sinuous. The photo above shows the fungi's pale stem stems which are longitudinally striated. At the bottom left several aborted branches can be seen. 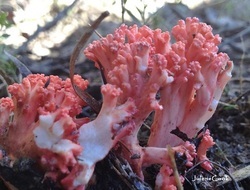 As with Ramaria botroytoides, the apices are rounded, bright pink and divided in two but have the beginning of what in that species will develop into elongated branches. Their axils (branch divisions) are acutely v shaped often with a line extending down from the V base. This differs from Young's description of round axils. However, his photo shows v shape axils in the young specimen and round axils in the older fungi. This Australian Ramaria fungi grows in small clumps to 75mm tall. Both the branches and apices are buttery yellow and the branches are vertical but sinuous and tallish before dividing dichotomosly with rounded axils. This low lying, shrub-like Australian Ramaria was about 12 cm wide. It is a densly compact species with multiple orange branchings and bright yellow apices. The angles of both the branch axils and the apices were acute. The whole of this ramaria was apricot coloured with a slightly lighter, thick stem. It was about 15 cm high and 10 wide and was growing in narrow peppermint gum bushland. This Australian Ramaria fungi has striated branches with round axils and cuspidate apices that become flat on maturity. This close-up shows multiple aborted branches and a stem with a rather rough surface. This pale yellow Ramaria has sinuous, open coralloid branches diverging from a sinuous stem with a white base without aborted branches. 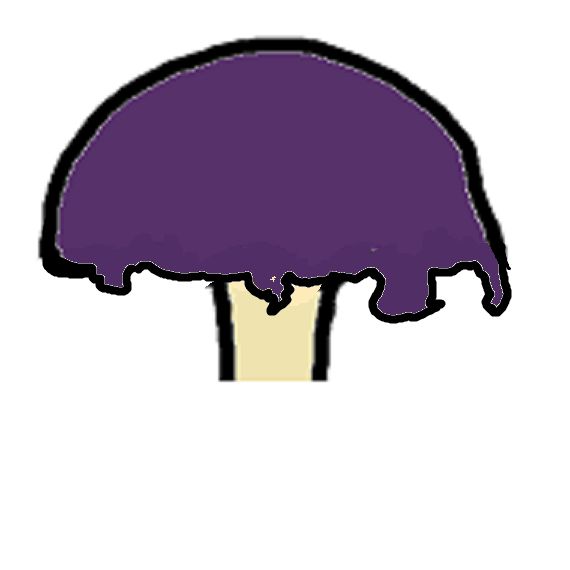 The branch surfaces are smooth and semi-transparent. The above photo shows the apices to be pointed with a slightly darker centre. Specimen found in t-tree bushland in late winter. Some features of this Australian Ramaria match those described by young for one of the three Ramaria Australiana species. Several aborted branches are evident in the darkest section of the stem and the rough stem matches Young's description. 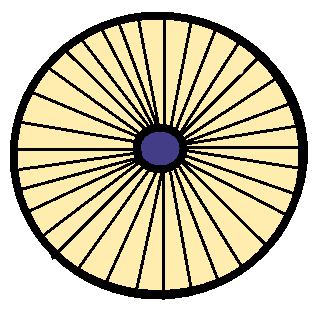 Young also described rounded axils as shown in the above photo. Young describes the apices of Ramaria Australiana as bluntly cuspidate and whether this coral fungi fits that description is unclear. 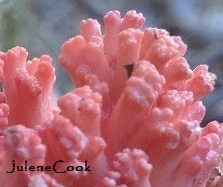 The above photo shows this vivid pink Australian Ramaria to have white flesh and mostly acute, v shaped axils. It was found growing on the floor of Narrow Peppermint Gum woodland. The branch apices are cuspidate meaning they have multiple rounded bumps like chewing teeth.